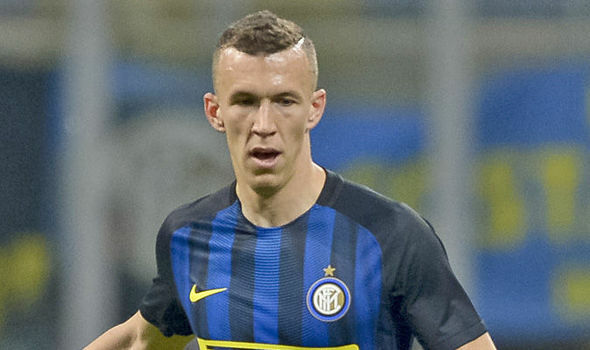 Manchester United are set to complete the signing of Ivan Perisic from Inter Milan in the next few days, reports in England say. The transfer price for the player has been the main reason delaying the deal – Inter want £48 million for the player but United want to offer significantly less for the 28-year old winger. Manchester United will visit the Allianz Arena in the midweek action to take on Bayern Munich in the second leg of the quarter-final match. This Champions League encounters of United take a 1-1 draw against the German outfit in the first leg. Hence, they come into the second leg with a lot of confidence, which did not appear to be within the United ranks only a few weeks ago. They have the opportunity to at least salvage some pride for the season by reaching the Champions League semi-finals. Bayern certainly have the advantage due to the away goal that they scored through Bastian Schweinsteiger. However, winger Ashley Young feels that United have the capability to score a goal at the Allianz Arena and level the tie. Bayern Munich recently launched their formidable unbeaten record after 54 matches when they were beaten 1-0 by Augsburg during the weekend. As a result, they have not won in the last three matches. United, meanwhile, find themselves coming into form at just the right stage after they beat Newcastle 4-0 tracks to goals from Juan Mata during the weekend. Bayern dominated the possession in the first leg, but it was United who had the better of opportunities with Danny Welbeck being denied by Manuel Neuer. “We’re aware of Bayern’s great home record but it’s important we concentrate on ourselves and not think about that too much. We can take a lot of confidence from the first leg against Bayern; we know we can create chances and while we have to go there and score, we won’t go crazy straight away because there are 90 minutes to play. We have to make sure we take our chances and hopefully we can defend exactly as we did in the first leg,” said Young, who is expected to be replaced by Kagawa. Crystal Palace defender Joel Ward has stated that all the players at the club are aware of Manchester United’s Ashley Young, who has a reputation for diving in order to win penalties against the opposition. Young has been involved in several controversial penalty appeals since coming to Manchester United in a £16 million deal several years ago. Previously, he did not get the same reputation since he was at Aston Villa – a club with a much lower profile than United. Young was guilty of simulation against Crystal Palace a few years ago. He turned out to be lucky back then, as United were given a penalty, which proved to be the difference between the two teams. Ward is keen to avoid a repeat of the same when Crystal Palace travel to Old Trafford in order to take on the United team, which is struggling to get results. Ward has stated that the players need to be aware of Young and not give him any opportunity to go down in the penalty box. Young has been warned several times by previous manager Sir Alex Ferguson. The disciplinary reaction has also been taken by current manager David Moyes, but so far it has not had any effect on the England international. “You have to stay on your feet and not dive in and not dangle your legs. Players are always going to look for opportunities to maybe an advantage but we’ll be trying to stop him getting into those positions. It has been an interesting season at United. And they still have the players who can turn it on. It’s never a good time to play them but we’re going to turn up believing in our own ability to make sure we give them a good game,” said Ward ahead of the match. Ashley Young says that the match against Arsenal was a good display of defense from the defending champions and in fact they could have clinched the match with a last minute goal but the super save from the Arsenal goalie did not let that happen. United has been very unstable this season and they have lost too many home matches which have led to their downfall in the Barclays Premiere League. They are now in the seventh place in the league table with a difference of fifteen points from the league leaders Chelsea. United went to the Emirates following a 2-2 draw against Fulham in the weekend and when the fans were very disturbed about the defense the team put up a really good show against the Gunners. A win would have taken Wenger’s team to the top of the league table but they failed to crack the United defense and came close to scoring only twice with Giroud missing an easy chance in the second half. 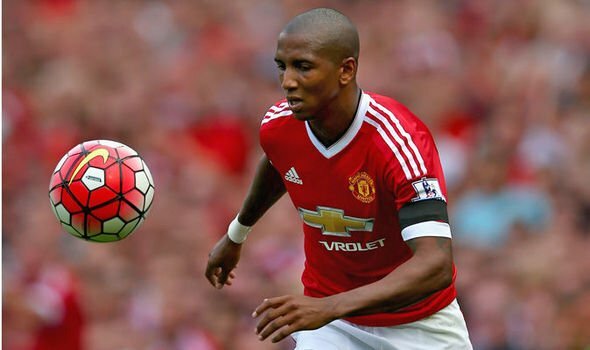 Ashley Young who has been in and out of the United said that he is enjoying the time he is getting in the field and hopes to capitalize on that. When asked about the January transfer he said that the addition of Juan Mata has really strengthened the team and hopes to finish in the top four by the end of the season. Although Liverpool look to be the favorites to finish in the fourth spot but young said that you may not know what can happen in the end and Liverpool may lose points. But he is also wary of the fact that United would have to overcome Tottenham Hotspurs and Everton and Liverpool in order to earn a spot for the fourth which would enable them to play the Champions League next season. Ashley Young will not feature for Manchester United in the upcoming FA Cup fixture against Swansea City because of the shoulder injury that he suffered against Tottenham Hotspur. The English winger collided with the opposition shot stopper in that game against the Spurs and got injured. He might have to remain out for a long period of time due to that injury. The Red Devils manager, David Moyes, told that to the reporters in a press conference yesterday. Most of the people reckon that the Tottenham goalie Hugo Lloris should have been shown red card for that challenge against Young and a penalty should have been handed to United. But, Howard Webb who was refereeing that game didn’t have the same opinion as he refused to do either of these two things. United eventually got beaten by 1-2 in that game. Moyes also believes that not to send Lloris off for that challenge was a bit unfair on referee’s part in Wednesday’s game. United’s match against Swansea will take place at their home ground Old Trafford. December 16, 2013 by FA Ganken·Comments Off on NOW WHAT? A few years back, Aston Villa used to be a brilliant Premier League side and the one man who was largely responsible for that was none other than Ashley Young. The English winger was a star player at that time. It’s not that he was finding the net almost in every game back then. 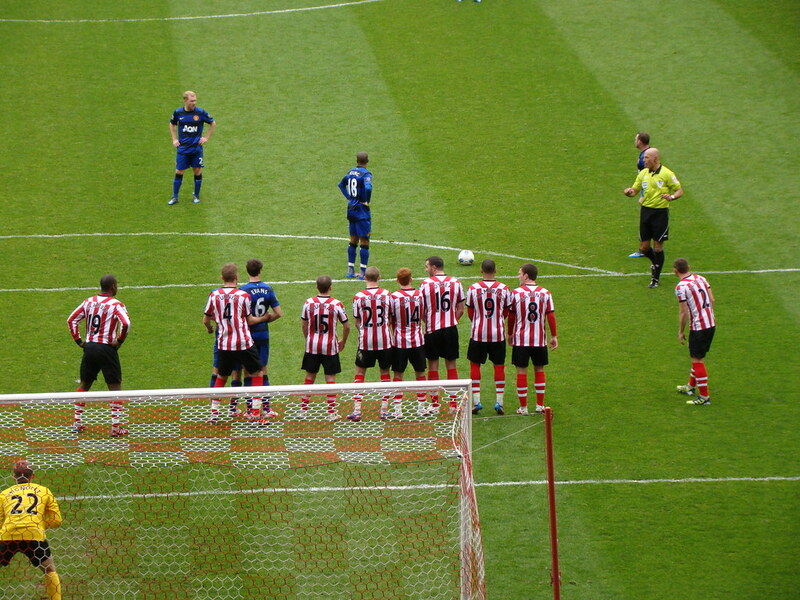 But, the way he used to get rid of the defenders and set up the goals for the players upfront was just magnificent. When Young made his way to Old Trafford a couple of years back, the expectations were massive with him. His signing had excited the Manchester United fans, but, those expectations were not fulfilled by the England international. He couldn’t do justice to his potential at Manchester United and now, it seems that the time has come for his Manchester United career to get over. There have been reports that the 28 years old winger is in the list of the players whom David Moyes wants to offload during the upcoming mid-season transfer window. Young had actually started with a bang at Old Trafford. He had finished his debut season i.e. the 2011-12 Season with 8 goals and 11 assists under his belt. But, in the last season, his game deteriorated big time. He couldn’t find the net even a single time for the Red Devils and ended up with just 5 assists. If you are a winger, you can’t get away with only 5 assists in a season and that too when you are playing for a club like Manchester United. A couple of highly talented wingers in the form of Adnan Januzaj and Wilfried Zaha are emerging out for United and David Moyes probably doesn’t need Young at the moment. The out of form Fulham is planning to place bids for Young in January and that might prove to be a good deal for them. They are not in a very good position in the League points table and Young’s experience might be helpful for them. October 30, 2013 by FA Ganken·Comments Off on ON HIS WAY OUT? Manchester United revealed their intentions on departing ways with the 28 years old winger Ashley Young. The English player made his move from Aston Villa with price tag of £17 million but a number of injuries and sudden drop of form have left him out of the main team for quite some time. With a paycheck of £110,000 each week, the English club is searching for a way to offload him either that might be a loan or a transfer. David Moyes does not have any plans for Young that could involve placing him into the starting XI of the squad. Kagawa, Valencia and Nani all seem to be the preferred option for the coach Moyes which have caused the tactician on thinking of other options for Young. Not only has he been missing out from the club’s matches but also not being picked out by England’s coach Roy Hodgson. The teen sensation Adrian Januzaj also signed a 5 year deal with the club which turns things even tougher for Young if he wants to standout against all of those players that are available for David Moyes. The latest online betting odds on Young moving on in January are down to Evens (with Unibet), so Young has his work cut out if he wants to stay. He might be seeing his way out of Manchester United by January during the winter transfer window and even though he is not a first choice option for the English, some other clubs should be interested in acquiring the winger. Having joined Manchester United in 2011 his time could end sooner than what he had expected when he made his move from Aston Villa and promised so much to the club. The manager of Manchester United, David Moyes, has lauded the goalkeeper David De Gea for his brilliant form in the ongoing season so far. Manchester United has struggled quite a bit this season. Most of its players have been out of form, but, De Gea is the one guy who has shown some consistency. Manchester United came back to winning ways yesterday by securing a 2-1 win over Sunderland. The man who stood out for the Red Devils in that game was Adnan Januzaj who scored a couple of goals, but, De Gea’s contribution can’t be ignored. The 23 years old Spanish goalkeeper made a great save to prevent Emanuele Giaccherini from doubling the lead of the Black Cats. That proved to be a vital moment in the game. De Gea had signed for United a couple of years back after leaving Atletico Madrid. United had paid a transfer fee close to 18 million Pounds for buying him. De Gea has so far made 64 League appearances for United.